Sat, April 27 @ Harvard Stadium Complex. 3 hour skills clinic PLUS a ticket to the Harvard vs Yale game! 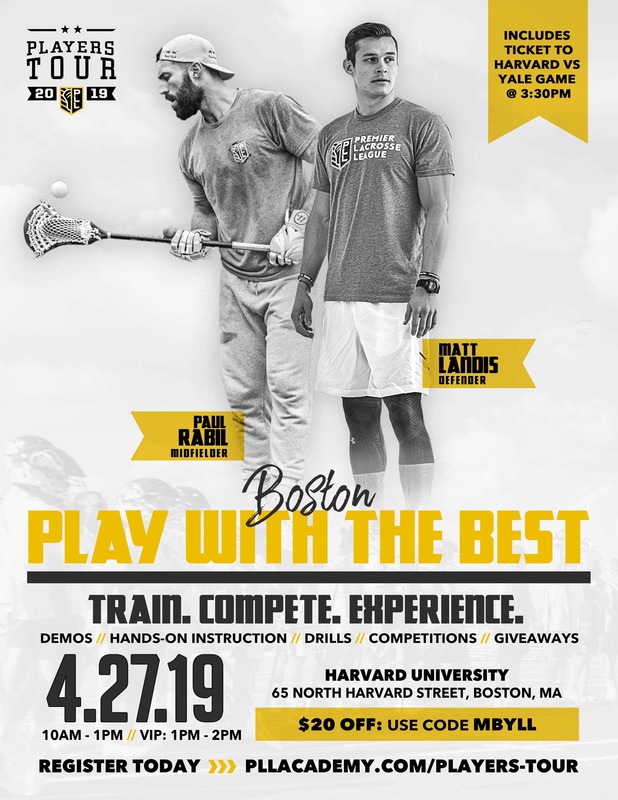 Learn from two of the games best, PAUL RABIL and defenseman MATT LANDIS! CLICK HERE for detials and to register today!